*What conditions have been proven to benefit from medical marijuana. *Government sponsored studies intended to show Marijuana having negative effects that yielded the exact opposite results. *Common myths about negative effects of Marijuana and what the research really says about these topics. This amazing movie presents the most comprehensive synopsis to date of the science surrounding the world’s most controversial plant, Cannabis. 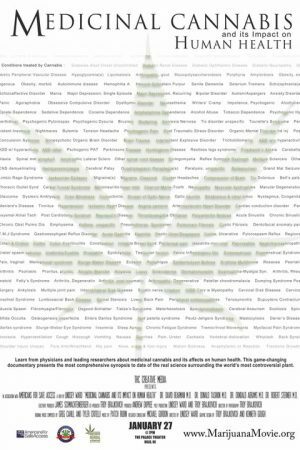 If you’d like to know more about the indie film makers behind this documentary and their cause, please visit MarijuanaMovie. Released Feb. 2011. Executive Producer: James Schmachtenberger. Director & Producer: Lindsey Ward. Director of Photography: Troy Brajkovich. Documentary film. A short documentary which looks at the initial theories behind the effectiveness of fluoride and where it originated. It goes on to show the lack of science behind the use of Fluoride and reveals Fluoride as a toxic waste substance that is being pumped into our drinking water.